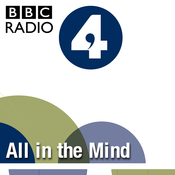 In this final episode Cliff Eisen focuses on medicine in the second half of the 18th century, and contemporary views on science and death. We explore today's object: a scarifier,used to bleed Mozart's mother before her death in Paris, and hear a moving account of Mozart's death in 1791 as recalled by his sister-in-law. Cliff Eisen talks about travel in the 18th Century, and discovers the books Leopold Mozart picked up in London as well as the tea chest that Wolfgang Amadeus Mozart carried with him on his travels. 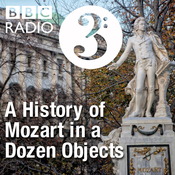 In this episode Cliff Eisen explores Mozart's Masonic links in Vienna, and the relationship between the Masons and Emperor Joseph II. The object, a Masonic Journal from the 1780s, gives clues about some of the pieces with Masonic symbols that Mozart wrote, like the Magic Flute, and works he composed for Masonic Lodges. A window from Mozart's flat in Vienna inspires Cliff Eisen to visit the actual place – the Figarohaus, today a museum dedicated to the composer, who tried to earn his life as a free-lance musician in the Imperial Capital – but what challenges did he face? Cliff Eisen starts with an executioner’s sword dating back from the days when Salzburg embraced capital punishment. This episode explores crime and punishment in Mozart’s time and how this was reflected in some of his operas from the 1780s.